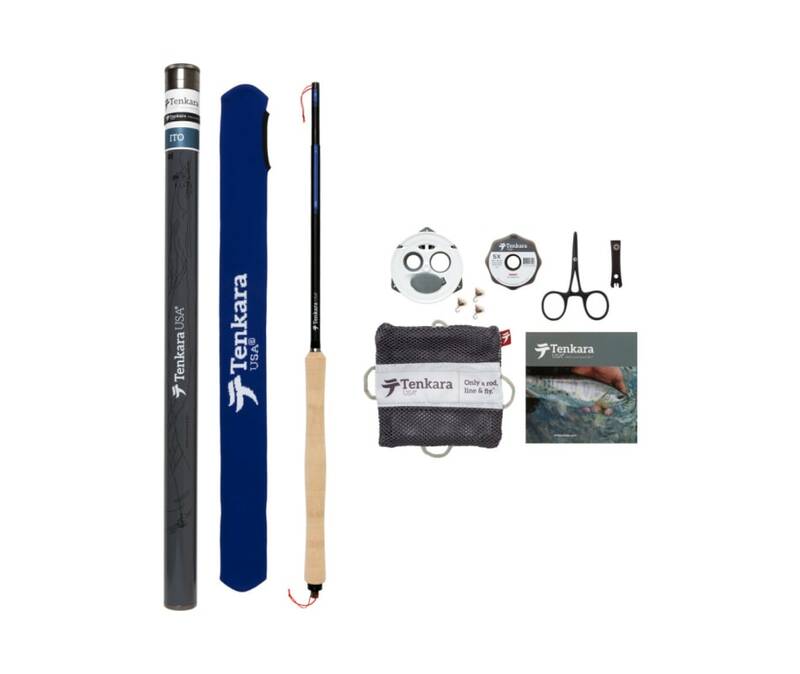 1x ITO Tenkara Fly Rod + Case - 13'-14' 7"
The Ito is the longest rod in the Tenkara lineup. 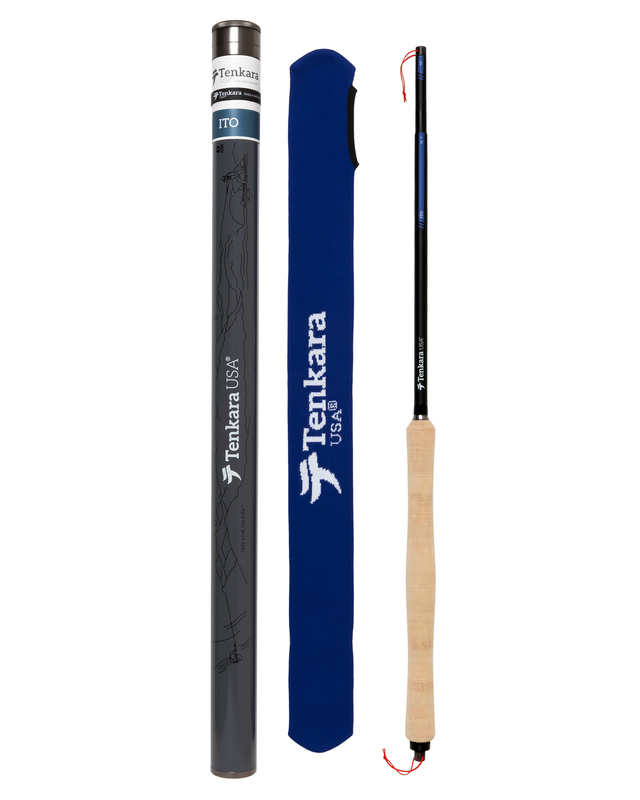 Tenkara has strived to achieve a very long rod, with the lightest possible feel. A true delight to fish any mountain stream, the Ito will be most at home in wider streams, larger rivers and ponds. It is the main rod we like to recommend for those who fish more open streams. The Ito feels incredibly light at 13ft, as the balance is brought closer to the handle, and still very light at 14ft7in. Despite its beautiful flowers sometimes anglers find themselves losing flies to the overreaching branches of the rhododendron. We developed the Rhodo, a rod that can be fished short when things get tight, or longer when the stream opens up. Tenkara used the highest possible quality cork for the handle and only the finest components to make this our premium rod. The finish is also superb, being a matte black with a gradient dark blue block at the end of each segment. The Ito features an innovative "zoom" function, which allows the angler to lock one segment in place to fish the rod either at 13ft (390cm) length or, fully extended, at 14ft7in (450cm). 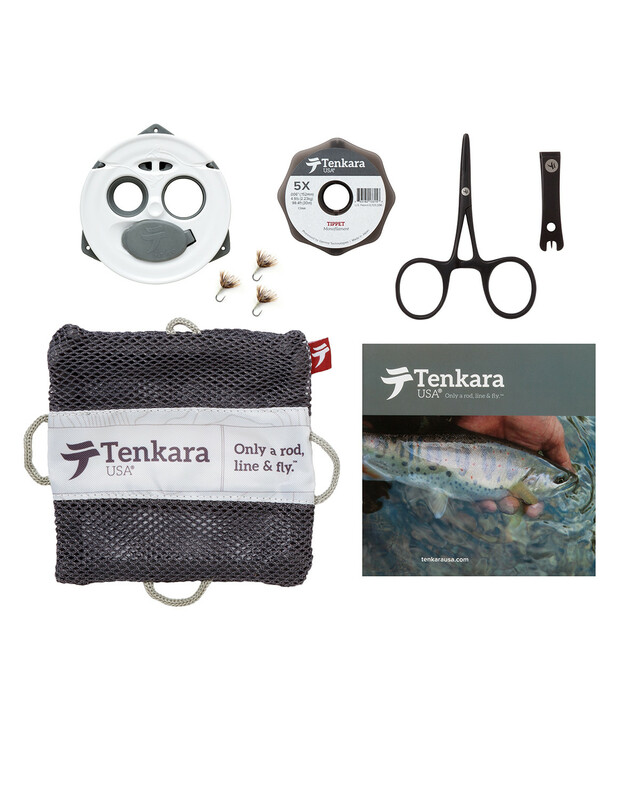 The Tenkara kit comes in a custom mesh bag and contains all the essentials to get started tenkara fishing: Nylon Tapered Line, the keeper, 3 flies, tippet, and forceps & nippers.